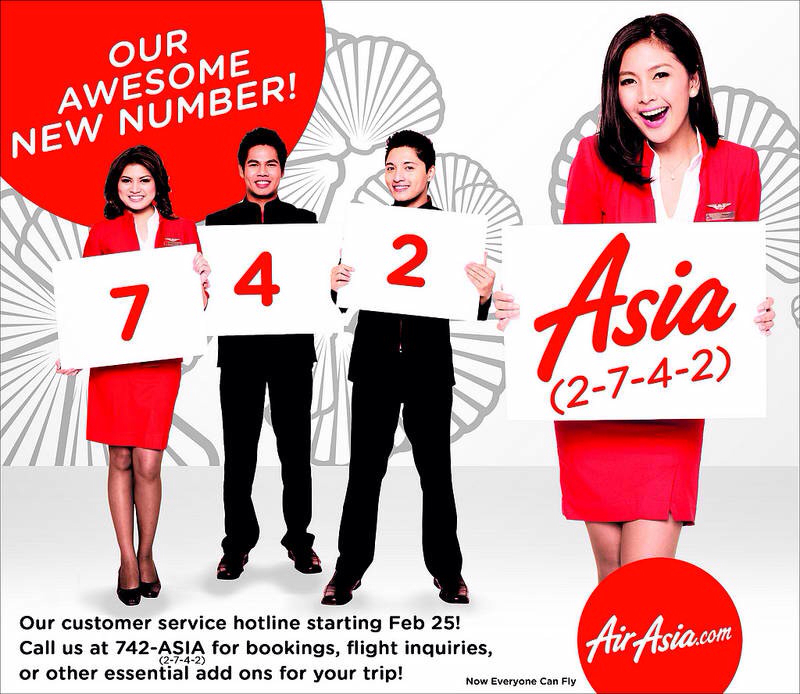 Starting February 25, AirAsia can now be reached through their new customer hotline, 742-ASIA (742-2742). 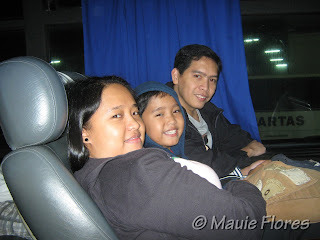 Not only that, to make payment for booked tickets easier for its customers, the Philippines' low cost carrier with the youngest fleet also tapped 7-11 as a payment facility. This is definitely good news for travelers who want to avail of AirAsia's online promos but would only be able to pay in cash. 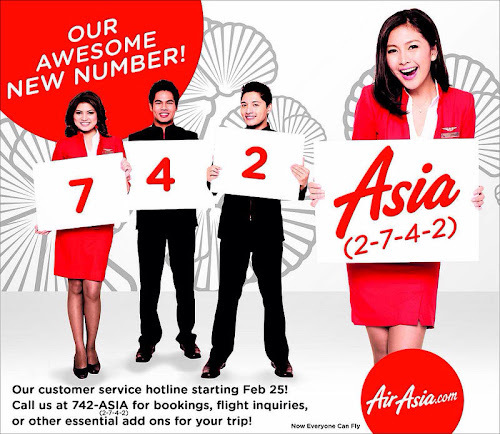 With 7-11 as a payment partner plus a new hotline number, buying tickets over at www.airasia.com would be a breeze. “Filipinos will embrace this new concept of paying cash for airline tickets via our payment partners option because of its simplicity and convenience,” AirAsia Inc.'s Commercial head, Freddy Herrera says. air asia offers one of the cheapest airfares! It's good that they now have one number that's easy to remember. 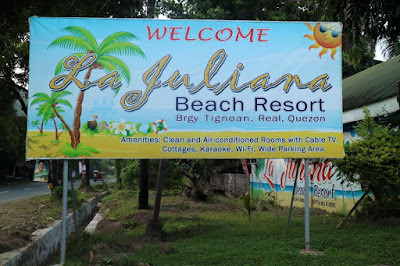 This is good news for frequent travelers. I'll tell hubby about this. Thanks for the info!